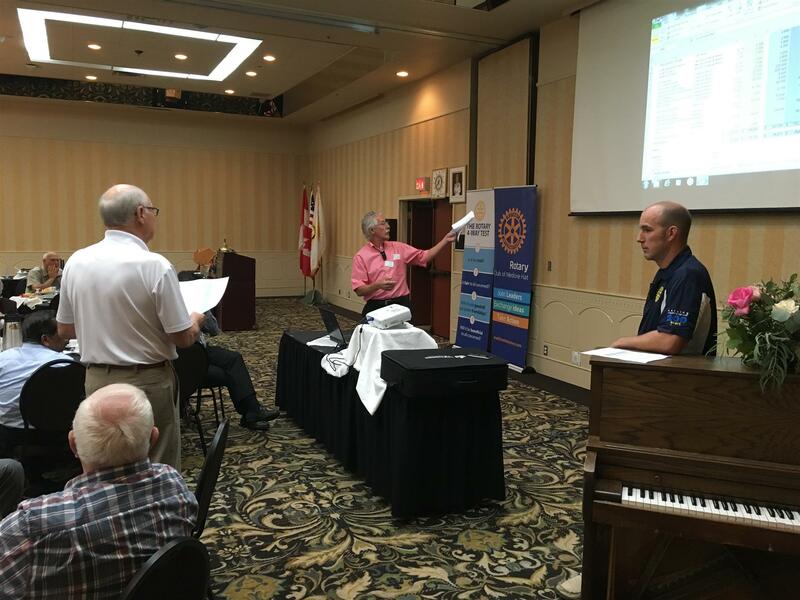 Club President Chris Perret and Treasurer Gail Halderman provided an overview of the Club's financial picture and announced the fees for this Rotary year. For 2018 - 2019 the fees will remain the same at $230/person. 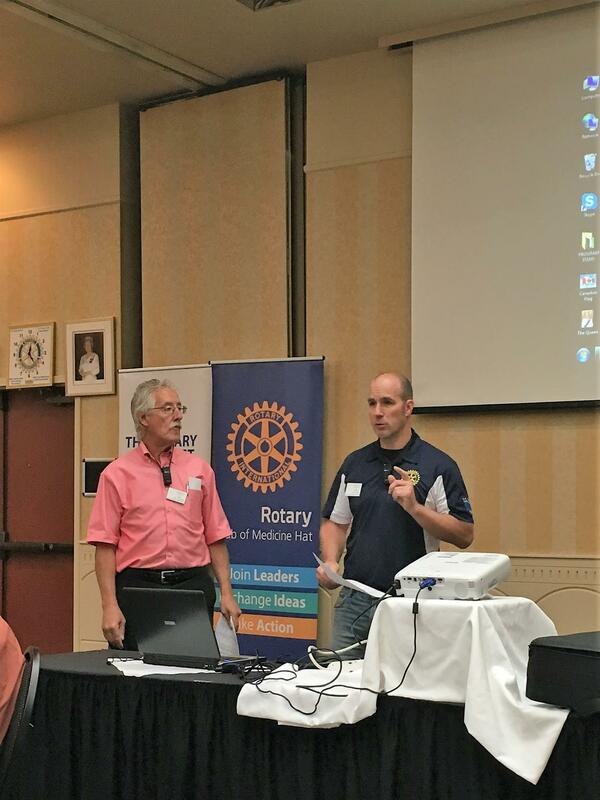 The presentation stressed the "avenues of service" for Rotary, and showed the cash flow of the club over the next few years. Dave Panabaker asked about the figures related to the Music Festival and the annual output from the Community Foundation endowment. 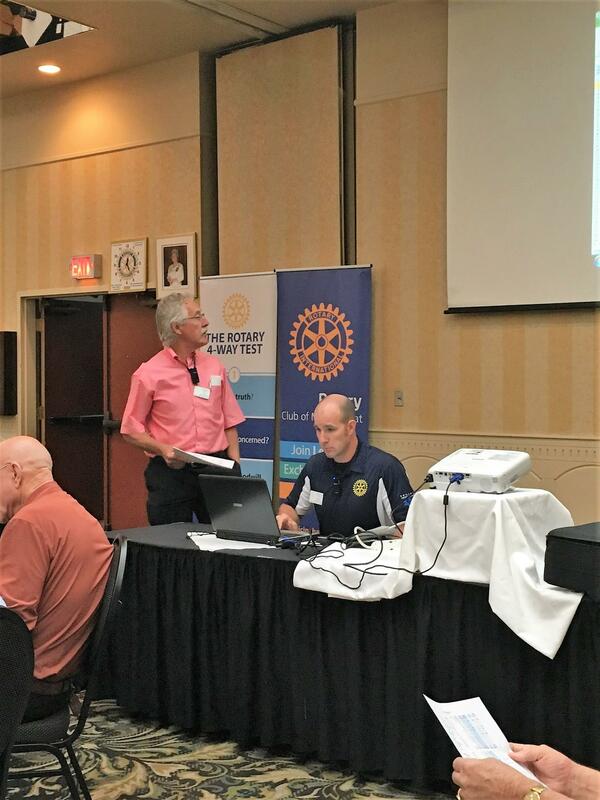 Dave Stalwick asked about the cost of the Rotary Centennial trails project, and whether the approval level of the Board ($1,000) had changed. Jay Chesley asked about the presentation, and had questions about the actual budget presentation. Wayne Chesley asked questions about the presentation as well. As part of the debate, President Chris noted that a copy of the detailed budget, broken down by the Directorships of the club would be available on the club website. After some debate, a motion was made by Gail Halderman, seconded by Roger Roy to approve the 2018 - 2019 Budget, and to set the annual fees at $230. That motion was passed by a majority of the Rotarians present.